Well, untill we found it on the map recently, I can't remember even have heard about it before. and we even have confirmation from a hotel, they say they will house us for some 14 days. But what are we going to? 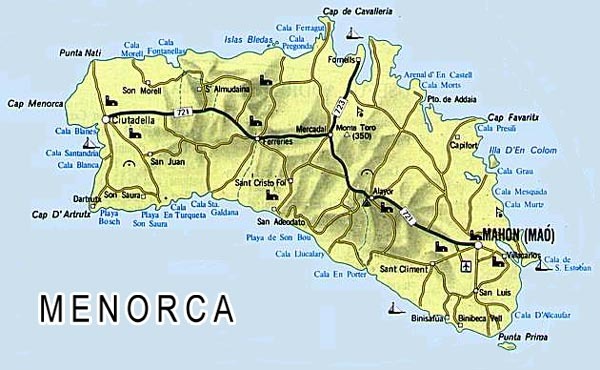 So far, we know it is a small island in the Balearic Islands group, about 50 x 17 kilometers is size. And - there are snakes on the island! What we have always appreciated on our many trips to the Canarian Islands, is that there were no snakes down there. look here for the SNAKES! Why are the beaches covered by seaweed?